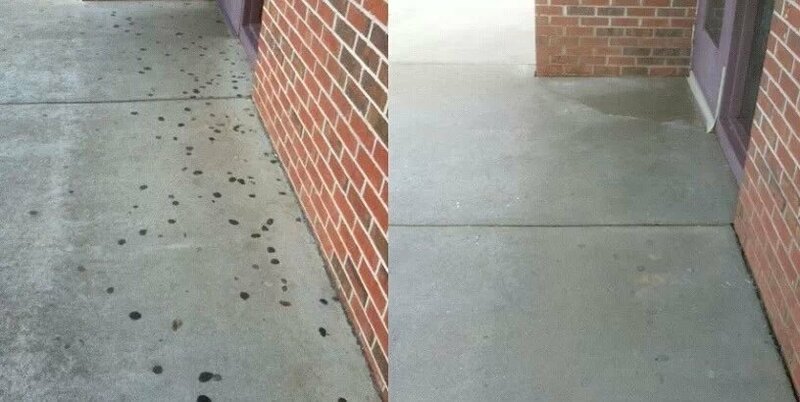 We use the best suited method to clean the delicate exterior surfaces of your business. We always use the soft washing method on roofs. 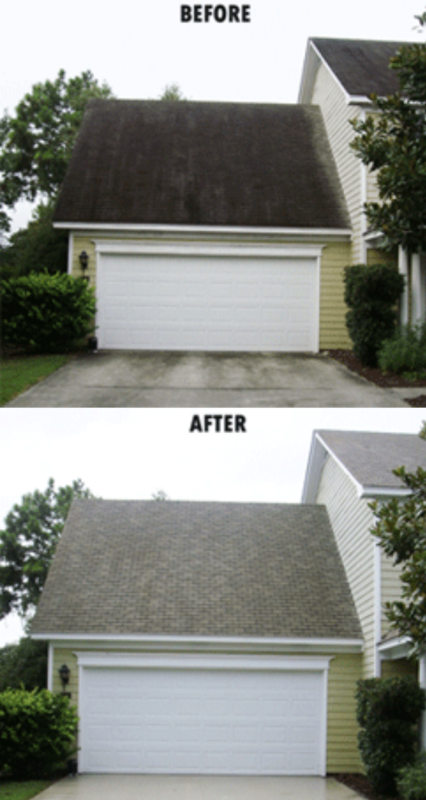 Our method is safe for all types of roofing such as asphalt, shingles, slate or cedar shake. When your business gets covered with the everyday dirt, grime, mold and mildew, it’s time to call Hogwash Cleaning Solutions to clean your business’s exterior. Exterior washing is necessary, if you want to keep your business looking great and to maintain or even increase your value. The good news is cleaning commercially is fairly easy if you have the right equipment and the know-how. Hogwash Cleaning Solutions is the answer to all your cleaning needs. We know what method is safe for all surfaces. Cleaning a roof is something that most business owners are scared to do because of the risk associated with it. Two common reasons we come across are the risks of falling off and the cost of replacement due to the roof being cleaned incorrectly. When you mix soapy water, a steep pitched roof and inexperience, you are asking for trouble. Dangers that roof cleaning entail are far greater of a risk to you than spending the money for an experience professional. How often are you cleaning your gutters? Clogged gutters are the number one cause of basement water problems and cracked foundations. Unmanaged, this can become a costly repair for your business. 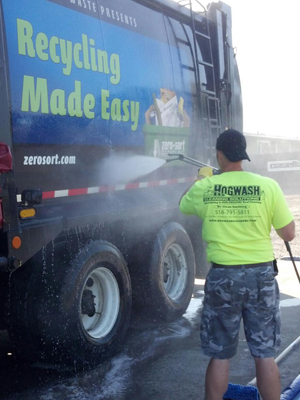 Hogwash Cleaning Solutions brings high-quality, environmentally friendly fleet washing services to your company’s facility at your availability. In addition to providing transportation, your business’s vehicle makes a statement about your business. Having a clean fleet of vehicles can help enhance your public image while improving vehicle safety. We can extend the vehicle’s life by removing damaging materials such as rust, grease, ice melting chemicals, and other pollutants with our extensive fleet service. 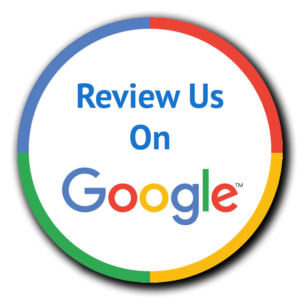 Our team of certified professionals inspects and cleans every section of your system to ensure that no area is left uncleansed. 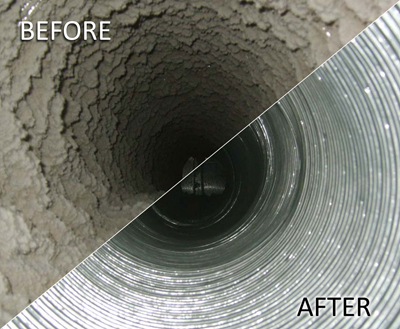 There may be sections of your air ducts that cannot be visibly checked and these are the areas that should be inspected thoroughly to ensure a safe and clean system. Maintained and cared for systems improve the efficiency and lifespan of your HVAC system and improve the air quality of your office. Since PTAC units are not tied into a larger centralized system, each unit operates independently and is largely controlled by the guest or occupant in the room. The thermostats are rarely placed on any sort of schedule, so the units operate for much longer than conventional HVAC systems. Obviously, by optimizing the schedule of an HVAC system, one can reduce unnecessary spends on energy, etc. Consequently, PTAC units operate for much longer than they actually need to. The longer a PTAC unit runs, the more air moves over the evaporator and condenser coils, the more contaminants such as dirt, dust, mold spores, moisture and pollen collect inside the unit. As these contaminants build up inside a PTAC unit, they create odors and indoor air quality issues and inhibit the heat exchange process. Drain pans are ideal places for bacteria and mold to grow. Since PTAC units operate off 100% outside air, they introduce a number of contaminants and indoor air pollutants into the environment. Ultimately, the effects can be very costly. In order to prevent these costly effects, PTAC cleaning is imperative. PTAC units need to be cleaned, disinfected and deodorized on a regular basis. While the solution sounds simple, it’s very hard for maintenance staff to perform PTAC cleaning cost effectively. 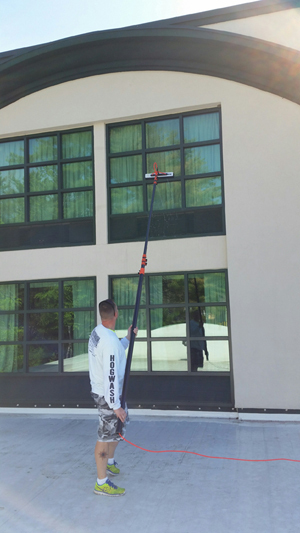 Following conventional cleaning methods that involves PTAC cleaning to be conducted outside, it can take the average two-person maintenance team upwards of two hours to perform PTAC cleaning on one unit. That’s four man hours to clean one PTAC unit. Very few facilities can afford to invest that amount of time on PTAC cleaning. This is why our clients find it beneficial to have Hogwash Cleaning Solutions perform the cleaning maintenance for them. Over time, debris and dust from daily operations collect on overhead pipes, ductwork, light fixtures, structural steel, and ceiling plenums. 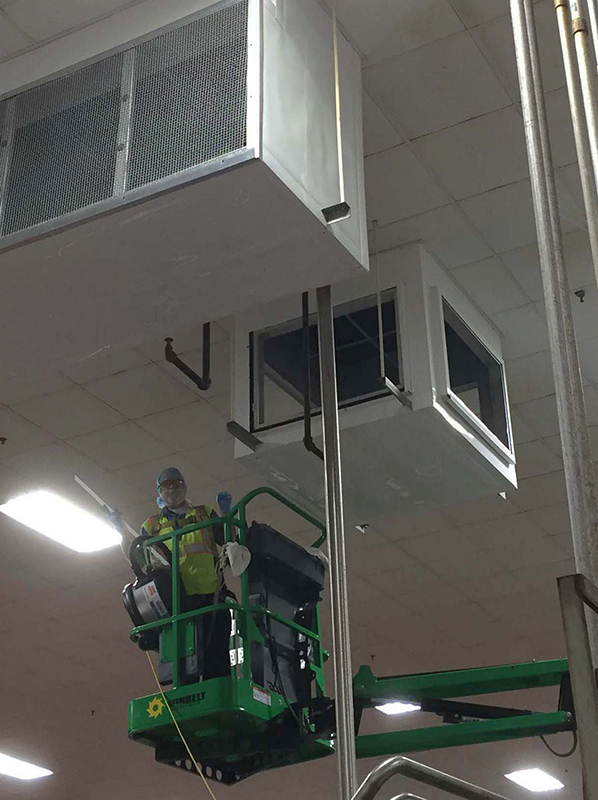 Continued maintenance of overhead pipes and HVAC systems are crucial to the air quality indoors for both employees and customers. 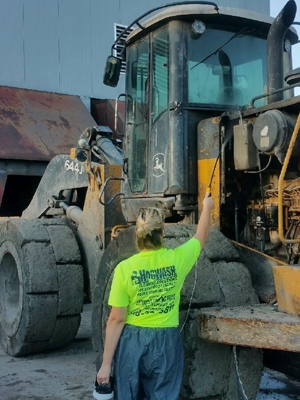 Let the experienced Hogwash team tackle your tough to reach places. 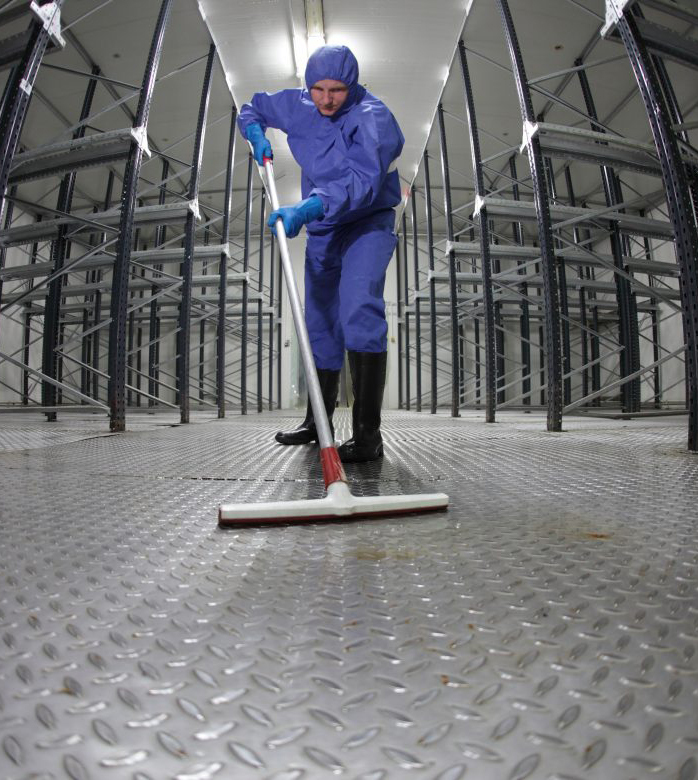 Our highly skilled technicians are able to take care of any cleaning needs that may not be directly in sight from the ground while working side by side to allow continued operations of your facility. Our cleaning technology includes Waste Water Reclamation and Recycling equipment that prevents waste water from entering storm sewers and contaminating water ways in Upstate, NY. In addition, our equipment conserves water usage on each and every project by recycling and cleaning the recaptured water in a closed loop system that continually re-uses the expelled water. Our team arrives with 600 gallons of water, ready to tackle any industrial cleaning project in Upstate, NY. The dual operator power washing equipment cleans even the toughest jobs and vacuums the run-off water, cleans it, and reuses the recycled water. We bring our own water. We recapture and clean it. Then, we re-use it. Thereby, conserving thousands of gallons of water each day, eliminating the need to use water at your location. Hogwash executes the Three C’s of each project: Coordination, Communication, and Check-Ups to avoid any loss of productivity. Our Project Managers work directly with Supervisors to Coordinate the cleaning project and Communicate the plan with staff ahead of time.